Help build the NYC Beam Project! At this year’s festival, youth will create the art for FlipNYC animations! Uploaded by Beam Center on 2018-03-24. This activity is not sponsored or endorsed by the NYC Department of Education or the City of New York. Beam Center will put kids’ hands on tools of all sorts at its ninth annual Inventgenuity Festival. To explore this year’s theme, NOSE/KNOWS, Beam Center’s artists and makers will lead kids in workshops and demonstrations in electronics, building, printmaking and more to raise money to support its Summer Day Camp scholarship fund. 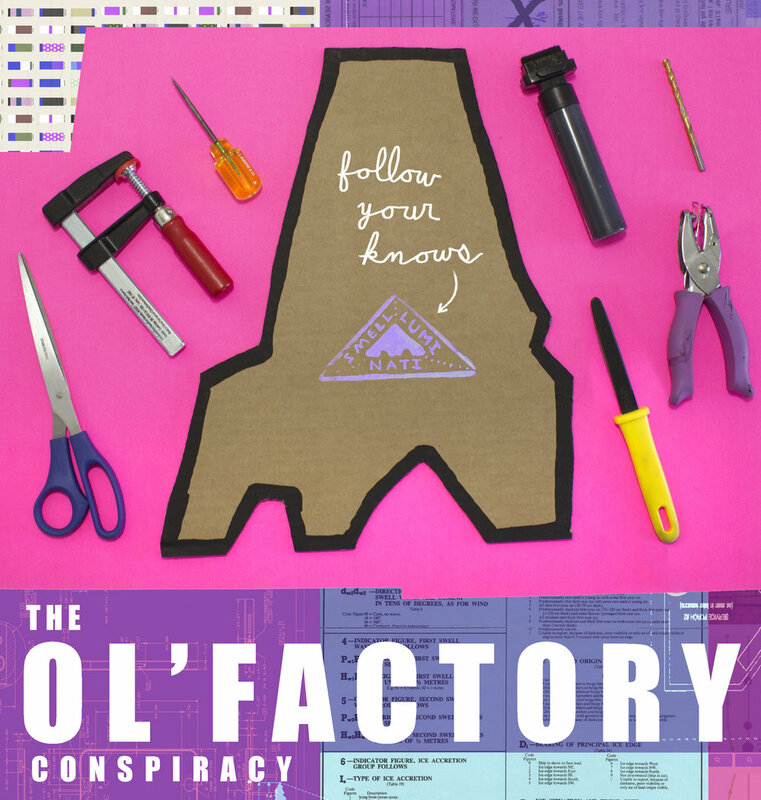 This year's Festival Project, the OL’ FACTORY CONSPIRACY (designed by artist Tim Fite and Beam Center staff) is an assembly line with a twist. Kids will fabricate noses of their own design and add them to one of the biggest schnozzes they’ve ever seen. Rumors are spreading that agents of Smelluminati are recruiting new members right on the Ol' Factory floor. Who will get picked? No one nose for sure!!!! Participation in the project is free as are other “nosey” drop-in activities including free-form glue-sculpture with Gerb’s Garage. Attendees may also sign-up for one of the rotating slate of 45-minute workshops. Scheduled workshops with Beam Center faculty will explore the NOSE/KNOWS theme: Running Noses, Hand-mold Soapmaking, Classic Nose Glasses, The Operation: Booger Game, Personalized Hankies, Stinky Ink Prints and more. Please consider making a donation to help us raise money to cover the $30,000 gap needed to support in-need youth with scholarships to Beam Center's Summer Day Camp. Inventgenuity Festival is supported by Con Edison. Beam Center puts kids’ hands on sewing machines, glue guns, circuitry and other tools in a big collaborative project, workshops and demonstrations at its eighth annual Inventgenuity Festival. Kids will make Bobblehead Clones, Kinetically-Modified Crops and other projects in an imaginative, craft-based take on bio-engineering. As it does in its public school partnerships, camps, and afterschool programs, Beam Center blends art, science and imagination at this popular annual winter celebration of making things, held at PS32/MS442 in Carroll Gardens, Brooklyn. Also, the first ever Beam Team Brooklyn project will be on display for all to see! THANKS TO ALL FOR MAKING THE 2017 INVENTGENUITY FESTIVAL HAPPEN.